Is Personal Training The Career For You? There’s no doubt about it becoming a personal trainer can be a fantastic career. 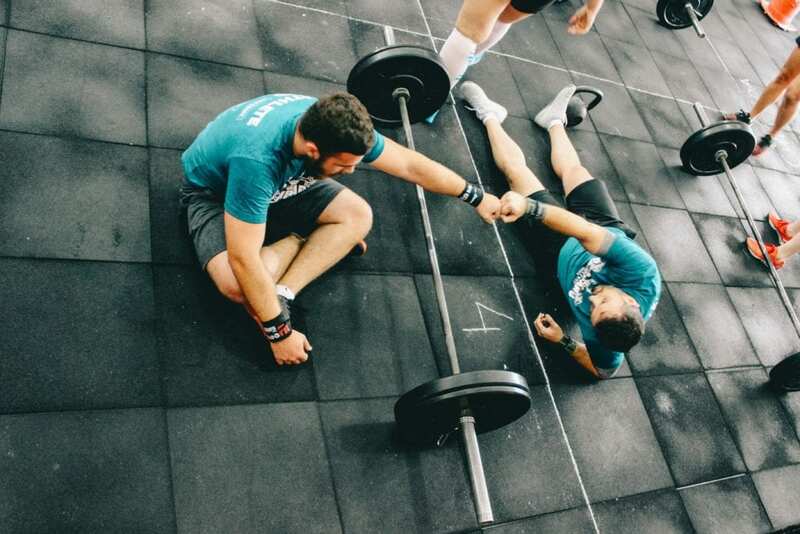 Whether you’re a man, or woman, old or young, there’s a place for you in the fitness industry if you’re passionate about your craft and work hard. With the rising obesity epidemic and growing health issues there’s no better time to get into the fitness industry and start helping others lead healthier, happier and greater quality of lives. Whether you’re into fat loss, muscle building, sports specific, nutrition, bodybuilding prep coaching, yoga, pilates, fitness classes – whatever it may be, there are people out there who need your help. There’s also a fantastic potential to earn a great living from personal training, it’s not uncommon to earn over £40,000 per year, and if you really work hard, and develop your coaching and business skills then you can potentially earn over 100k per year from personal training alone. I’ve been a personal trainer for the last 7 years, and having completed over 10,000 x 1-1 coaching sessions I can’t see myself slowing down anytime soon. I love my work! Thanks to personal training i’ve met some amazing people, learned lots about the human mind, and body, and created a great living for myself. Being a coach is great fun, you get to see people develop, not only physically with ‘before and after’ pictures, but also mentally too. You see people grow in confidence and lead a better quality of life, and knowing that you played a huge role in their development is massively rewarding – it’s such an amazing feeling. That said it’s hard work, you’re on your feet all day, demonstrating techniques, talking to people, helping to motivate your clients, etc, etc – it’s both physically and mentally draining. There are so many people in the world who need your help, and the opportunities are endless. Thanks to social media, and the internet you can connect with pretty much anybody in the world – as long as you both have an internet connection! You have the potential to build a really successful business, whether locally or globally! That said there’s a lot of competition and lots of noise, meaning that with so much choice, people are quick to switch off and it’s harder to grab peoples attention. If you really want to become a successful personal trainer you’ve got to carve out a unique identity and find a niche that you feel passionate about and that works for you. Like any career that you go into, the likelihood is that you aren’t going to get top pay right at the beginning, not unless you are very well connected, or have the business expertise to charge a high rate. Most of the time it will take years of hard graft before noticing the financial rewards. For my first 2 years of personal training I made around £10 per hour (if you include the PT sessions, and time spent outside of PT writing nutritional plans/workout programmes, etc) – that’s not a lot of money compared to other careers. It wasn’t until year 3 that I really started to notice the financial rewards of personal training. If you are going into personal training thinking that you’re going to make mega bucks from the beginning…then unfortunately you are mistaken! and if you’re doing it solely for the money, i’d recommend picking a different career, because PT is hard, and if you don’t love it you wont last long. So is personal training the career for you? Hopefully this post has given you something to think about before investing your time and money into a personal training career. If you have any specific questions that you’d like answering then please drop me an e-mail at nick@lepfitness.co.uk and I will get back to you asap. If you do decide to become a personal trainer then I wish you the very best of luck!